On a recent visit to India Prince Charles visited the Vazhachal Forest Range in Kerala, where he heard about the threats facing Indian Elephants, the importance of wildlife corridors and the urgent need to conserve India’s remaining wild population of elephants. The meeting took place in November in Cochin. Present were members of Wildlife Trust of India (WTI) and International Fund for Animal Welfare (IFAW), officials of the Forest Department and representatives of other wildlife NGOs working in the region as well as UK based charity Elephant Family. World Land Trust (WLT) has been supporting WTI’s elephant conservation efforts for more than a decade and in 2010 WLT co-operated with Elephant Family on the Elephant Parade, when 260 brightly painted elephants arrived in London and took up residence in neighbourhoods and landmarks over the capital. 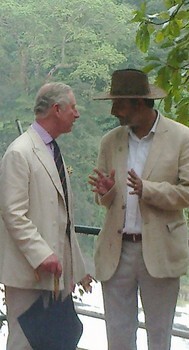 “Unfortunately the Prince’s schedule did not allow him much time in the forest and we weren’t able to show him an elephant, which he had hoped to see,” said Vivek Menon, Executive Director of WTI, adding, “but we did manage to show him a leech!” The Royal Couple spent four days in Kerala which was part of their third and longest visit to India. WLT has assisted WTI in securing a number of elephant corridors including Wayanad Corridor in Kerala (also known as Tirunelli-Kudrakote Corridor) and Siju-Rewak Corridor in Meghalaya. These conservation successes could not have been achieved without the vital support of the international community. There are only around 27,000 Asian elephants left in the wild in India. As human population increases, interventions to secure corridors for the safe movement of elephants are essential. There are only around 27,000 Asian elephants left in the wild in India. As human population increases, more and more elephant habitat is built on. In view of this pressure on land, interventions to secure corridors for the safe movement of elephants are essential. Elephant corridors connect two or more patches of viable habitat which were historically connected. By safeguarding these traditional migration routes, elephants are assured a safe passage as they travel over long distances in search of food. 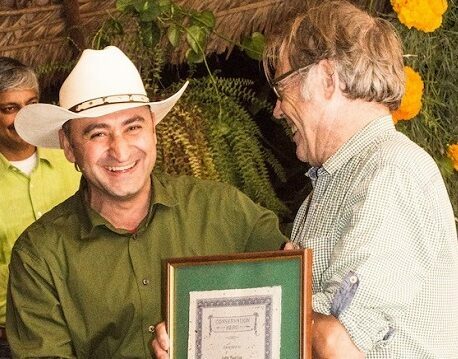 2013 marked the tenth anniversary of WLT’s conservation partnership with WTI. 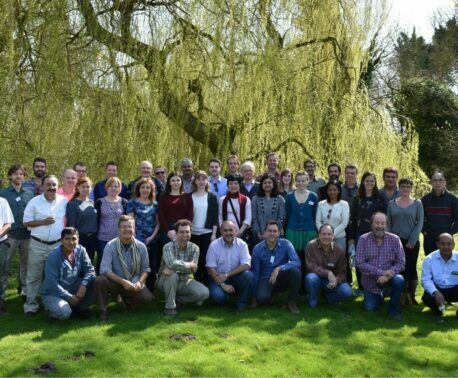 Vivek Menon visited the UK in October, where he met with WLT representatives and took part in WLT’s Controversial Conservation debate at the Royal Society. WLT continues to seek funds to secure an elephant corridor in Northern India and you can help protect more elephant corridors by donating to WLT’s Action Fund and specifying “Indian Elephant Corridors Appeal” in the comments box.